Nicaragua is a country with a long history of sugarcane cultivation, processing and trade. In January 2018 it will host Bonsucro Week, Bonsucro’s flagship annual event for sustainable sugarcane. The week includes visits to two of Nicaragua’s sugarcane mills, San Antonio and Monte Rosa. Both mills are members of the CNPA, the Nicaraguan Sugar Producers’ Association, and Bonsucro’s organizing partner. 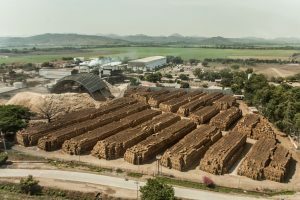 We spoke to Mario Amador, the CNPA’s General Manager, to get an overview of the country’s sugarcane industry and its work on sustainability. What is the status of the Nicaraguan sugarcane industry today? “The Nicaraguan sugar industry has transformed itself into an agro-energy model which cultivates more than 70,000 hectares of sugarcane and is made up of more than 800 sugar cane producers and 4 sugar mills (San Antonio (part of the Pellas Group), Monte Rosa (part of Pantaleón Group), Casur (part of the Mayaguez group), and Montelimar. In the 2016-2017 harvest, the sugar production reached approximately 708,000 MT and around 645 GWh of energy were generated, 60% of the total sugar production was exported and 40% is consumed locally by the industry and final consumer. “It is important to highlight that salaries in the sugar industry are highly competitive and sugar mills workers obtain benefits that go beyond what local labor laws dictate. For example, employees and their families receive free health care that exceeds the provisions of the Social Security of Nicaragua, either in their own hospitals and/or in mobile clinics that provide care in the field, educational programs are developed and financing is provided for the training of the employees and their families. Freedom of Association and a gender equality policy, mainly in managerial and technical positions, are promoted. One mill is now Bonsucro certified, and others are working towards Bonsucro certification. How is Bonsucro perceived within Nicaragua’s industry, and what value do you think it can bring to your members? 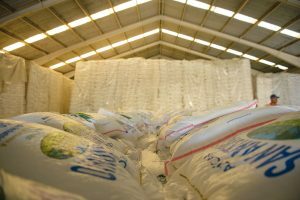 “The Nicaraguan sugar industry has as an objective that by 2018, 100% of Nicaraguan sugar mills will be Bonsucro certified, being convinced that this is the best way to competitively differentiate in international markets. 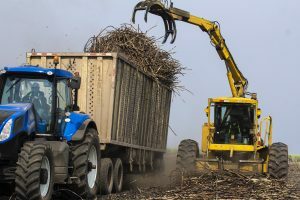 “Producing sugar is also about sustainability, which is becoming increasingly not only a demand from our clients but an appreciated value to our society: Producing sugar with high social and environmental standards is an important competitive advantage, that soon will start producing positive outcomes. It doesn’t make any sense in the 21st century to produce sugar mindlessly or at the lowest cost, that is no longer sustainable. We must do it in a sustainable way, implementing as far as possible the best labour practices, which means not to be limited solely to what our labour law establishes. Bonsucro Week is coming to Nicaragua in January – how can you see this as benefitting Nicaragua’s sugarcane industry? And how might others from around the world learn from Nicaragua’s work on sustainability? “Bonsucro has achieved international leadership and recognition under the commitment of sustainability, bringing together the largest sugar consumers, traders, and producers. Given this, it’s an honour for Nicaragua to be the host of Bonsucro week, which is also a recognition for the hard work the Nicaraguan sugar industry is doing to become sustainable. Bonsucro Week 2018: To find out more about Bonsucro Week 2018, go to the event website. CNPA: Get in touch with the CNPA here.